“You said: ‘[S]o he [Wong] was a born citizen and therefore he was a natural born citizen.’ This is so logically fallacious. Have you ever heard of the fallacy of affirming the consequent? First, the clause is ‘natural born Citizen,’ not ‘born Citizen.’ The clause ‘natural born Citizen’ has one and only one definition which is a child born in the country to ‘citizen’ parents. See Minor v. Happersett (1875); U.S. v. Wong Kim Ark (1898). Second, being a born citizen is a necessary condition of being a ‘natural born Citizen.’ It is not a sufficient condition, for the definition also includes birth in the country to citizen parents. Hence, you commit the fallacy of affirming the consequent when you state that if someone is a born citizen he is therefore a ‘natural born Citizen.’"
My advice to dunstvangeet which I posted in the same thread is that he should go back to logic school and get his irony meter fixed. So there you have the posture of the question of whether Obama’s supporters and the courts have committed the fallacy of Affirming the Consequent or whether I have committed the fallacy of Denial of the Antecedent. I will now further demonstrate that I have not argued any fallacious position and that on the contrary, it is the Obama supporters who engage in tautological argument and commit the fallacy of Affirming the Consequent. Let us now examine these issues. 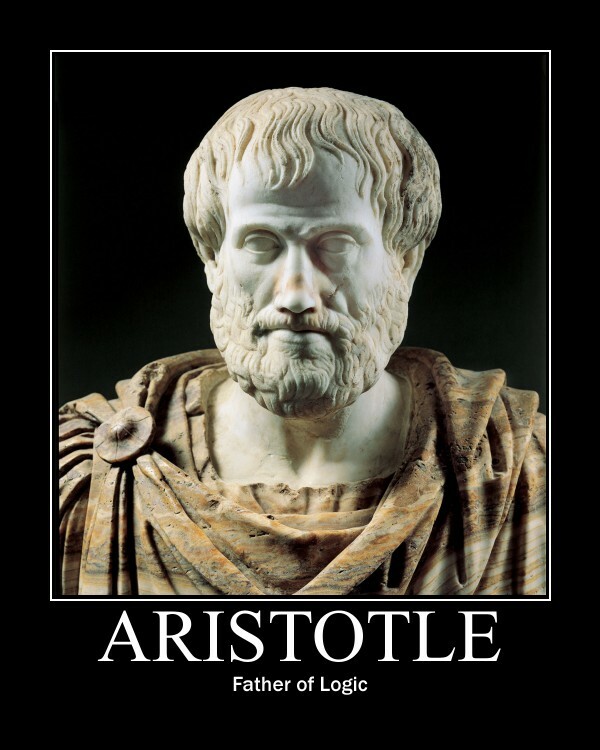 http://classics.mit.edu/Aristotle/politics.html . Here we can see that Aristotle did not define citizenship like the English did in the English common law in which they did not give any relevancy to the citizenship of the child’s parents, provided the parents were not diplomats or military invaders. Aristotle included in the definition of a “citizen” a person “of whom both the parents are citizens.” As we shall see, it is this definition which was handed down through the millennia through the law of nations and which the Founders and Framers adopted for the new republic. We shall also see that Minor v. Happersett (1875) informed that a person who became a citizen by being born in the country to “citizen” parents was know in common law with which the Framers were familiar as a “natural-born citizen.” How do we know that the Founders and Framers looked to Aristotle’s view of citizenship? We learn from the historical record that Supreme Court Justice James Wilson wrote in 1791: “‘Generally speaking,’ says the great political authority, Aristotle, ‘a citizen is one partaking equally of power and of subordination.’ … In Wilson's view, "a citizen of Pennsylvania is he, who has resided in the state two years; and, within that time, has paid a state or county tax: or he is between the ages of twenty one and twenty two years, and the son of a citizen.” James Wilson, 1st commentaries on the Constitution. Here we clearly see Wilson referring to what could only be a “natural born Citizen” as "the son of a citizen." A Proposal For Printing in English, The Select Orations of Marcus Tullius Cicero, According to the last Oxford Edition 17 (Henry Eelbeck trans. London 1720). A definition of a “natural born Citizen” was also provided by the world-renowned, Emer de Vattel in his The Law of Nations, Section 212 (London 1797) (1st ed. Neuchatel 1758). Vattel had a great influence on the Founders and Framers in their constituting the new republic and writing the Constitution. See, for example, J.S. Reeves, The Influence of the Law of Nature Upon International Law in the United States, 3 Am.J. Int’l L. 547 et. seq. passim (1909) (Vattel exerted such a profound political influence that it is often pointed out that his theories served as the backbone for American independence); Lee A. Casey, David B. Rivkin, Jr. and Darin R. Bartram, Unlawful Belligerency and Its Implications Under International Law, http://www.fed-soc.org/publications/PubID.104/pub_detail.asp (concerning U.S. constitutional analysis, “Vattel is highly important. He was probably the international law expert most widely read among the Framers”). In fact, Vattel continued to be practically applied in our nation for well over 100 years after the birth of the republic; F.S. Ruddy, The Acceptance of Vattel, Grotian Society Papers (1972) (Vattel was mainstream political philosophy during the writing of the Constitution. The Law of Nations was significantly the most cited legal source in America jurisprudence between 1789 and 1820). The Founders and Framers studied and were greatly influenced by Vattel. R.G. Natelson, The Original Constitution 49 and 69 (2010) (“Vattel was probably the Founders’ favorite authority on international law . . . .” and his, treatise, The Law of Nations, was their favorite). Joe Wolverton, II, Forgotten Influences of the Founders (December 24, 2009), http://www.thenewamerican.com/index.php/history/american/2606-forgotten-influences-of-the-founders . So we can see that William Smith, during a debate on the floor of the House of Representatives in 1789, cited Emer de Vattel in defense of his own citizenship to show that he was eligible to be a Representative of the United States under our Constitution. Smith said that Vattel said: "The country of the father is that of the children and these become citizens by their tacit consent." Madison said: "Mr. Smith founds his claim upon his birthright; his ancestors were among the first settlers of that colony." 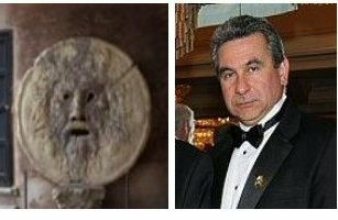 The case for Vattel's "citizen" was clearly made. Smith, in defining his own citizenship did not mention the English common law, but rather looked to Vattel and the law of nations. Historical and legal evidence demonstrates that the Founders and Framers adopted this ancient definition as the only definition of a “natural born Citizen.” First, the Founders and Framers put forth in Article II, Section 1, Clause 5 presidential eligibility requirement. The clause reads: “No person except a natural born Citizen, or a Citizen of the United States, at the time of the Adoption of this Constitution shall be eligible to the Office of President; neither shall any person be eligible to that Office who shall not have attained to the Age of thirty five Years, and been fourteen Years a resident within the United States.” Like they made a bright line rule as to 35 years of age and 14 years residency, they did the same with the definition of a “natural born Citizen.” There is no evidence in the historical record that has come to light which suggests that the Founders and Framers did not agree on what the definition of a “natural born Citizen” was or that someone during the drafting and ratifying conventions took issue with the then existing definition. The Founders and Framers simply would not have used a clause in the Constitution for presidential eligibility purposes the meaning of which was not settled and not debated that meaning during those constitutional conventions. It is therefore absurd to think that there were other hidden definitions of the “natural born Citizen” clause which were yet to be discovered and confirmed in the future or that there could be other persons who could also be “natural born Citizens” but about whom there were doubts whether they were. Second, there are various U.S. Supreme Court decisions which cited and quoted or paraphrased Vattel and his definition of a “natural-born citizen” and therefore recognized a “natural born Citizen” to be a child born in the country to “citizen” parents. For example, see The Venus, 12 U.S. 8 Cranch 253, 289 (1814) (C.J. Marshall concurring) (Founder Chief Justice John Marshall, concurring and dissenting for other reasons in a prize case the resolution of which depended upon the citizenship status of the parties, cited Vattel and provided his definition of natural born citizens and said: “Vattel, who, though not very full to this point, is more explicit and more satisfactory on it than any other whose work has fallen into my hands, says ‘The citizens are the members of the civil society; bound to this society by certain duties, and subject to its authority, they equally participate in its advantages. The natives or indigenes are those born in the country of parents who are citizens. Society not being able to subsist and to perpetuate itself but by the children of the citizens, those children naturally follow the condition of their fathers, and succeed to all their rights.’”); Inglis v. Sailors’ Snug Harbor, 28 U.S. 99 (1830) (held that a child born in the United States inherits the citizenship of his parents); Shanks v. Dupont, 28 U.S. 242, 245, 252 (1830) (providing the same Vattelian definition without citing Vattel, Justice Story stated: “If she was not of age, then she might well be deemed under the circumstances of this case to hold the citizenship of her father, for children born in a country, continuing while under age in the family of the father, partake of his national character as a citizen of that country.” Justice Story in Shanks confirmed the common law maxim that existed in the colonies and during the Founding. That maxim was “partus sequitur patrem” or children follow the condition of their father. “Partus” is defined as “child” or “offspring.” Black’s Law Dictionary 1010 (5th ed. 1979). “Sequitur means to follow. “Patrem” means father. Justice Johnson in his dissent in Shanks further confirmed it when he explained that a “leading maxim of common law” then prevailing was “proles sequitur sortem paternam.” “Proles” is defined as [o]ffspring; progeny; the issue of a lawful marriage. In its enlarged sense, it signifies any children.” Black’s Law Dictionary 1091 (5th ed. 1979). Hence, the maxim means children follow the condition of their fathers); Minor v. Happersett, 88 U.S. 162, 167-68 (1875) (the unanimous U.S. Supreme Court paraphrased Vattel almost word for word when defining a “natural-born citizen” thus: “At common-law, with the nomenclature of which the framers of the Constitution were familiar, it was never doubted that all children born in a country of parents who were its citizens became themselves, upon their birth, citizens also. These were natives or natural-born citizens, as distinguished from aliens or foreigners.” Id. at 167-68); Ex parte Reynolds, 20 F.Cas. 582, 5 Dill. 394, No. 11,719 (C.C.W.D.Ark 1879) (cited and quoted Vattel’s definition of a “natural-born citizen”); United States v. Ward, 42 F.320 (C.C.S.D.Cal. 1890) (same); and U.S. v. Wong Kim Ark, 169 U.S. 649, 708 (1898) (cited, quoted, and affirmed Minor’s definition of a “natural-born citizen” and held that a child born in the United States to domiciled and resident alien parents was a “citizen of the United States” from the moment of birth under the Fourteenth Amendment). There has never been any other definition of a “natural born Citizen” articulated by our U.S. Supreme Court, from the early years of the republic down to the present. The same definition of a “natural born Citizen” has been repeated many times by our U.S. Supreme Court. Hence, this one definition can be the only one that the Founders and Framers used. So, there has never been any other definitions or classes of “natural born Citizens.” With a “natural born Citizen” having only one definition and therefore containing no subsets, it cannot by analogy be compared to animals, plants, or automobiles which each contain many subsets. If and only if A is born in the country to citizen parents, then A is a "natural born Citizen." If A is a "natural born Citizen," then A is born in the country to citizen parents. Now let us examine how Obama’s supporters, in arguing that Obama is a “natural born Citizen,” arrive at their conclusion by way of tautology and the fallacy of Affirming the Consequent. Jack Maskell, in 2011 wrote a CRS memo entitled, “Qualifications for President and the ‘Natural Born’ Citizenship Eligibility Requirement, Jack Maskell, Congressional Research Service, November 2011, which can be read at http://www.fas.org/sgp/crs/misc/R42097.pdf . Mr. Maskell concludes that a "natural born Citizen" is any person who, under the Fourteenth Amendment or any Congressional Act, becomes a “citizen of the United States” "at birth." A handful of courts that have reached the merits of the meaning of a “natural born Citizen” and whether President Barack Obama meets that definition have adopted Mr. Maskell’s thesis and ruled that any child born in the United States who is a “citizen of the United States” under the Fourteenth Amendment is a “natural born Citizen,” regardless of the citizenship of the parents, simply because such a child is a “born citizen,” “citizen at birth,” or “citizen from birth.” But upon close scrutiny, we can see that there are some grave legal and logical problems with such a simplistic argument. First, the argument that a “natural born Citizen” is any child that is a “born citizen” is a tautology. The argument is nothing but a repetition of part of the clause we are defining, “natural born Citizen,” with the word “natural” left out in order to make it look like one has actually unlocked some secret to defining the clause and provided a definition of the whole clause. But the definition provided, “born citizen,” or its equivalent, “citizen at birth” or “citizen from birth,” add absolutely no information to defining “natural born Citizen.” Of course, a “natural born Citizen” is a “born citizen,” or “citizen at birth,” or “citizen from birth.” The clause itself tells us that a “natural born Citizen” could not be one who is a citizen not from birth. But simply acknowledging the moment in time at which a “natural born Citizen” comes into being does not provide any definition of the clause, for the statement does not identify what conditions must be satisfied in order for such a person to be a citizen from the moment of birth. So, the Founders and Framers could not have had such a tautological statement in mind as the definition of a “natural born Citizen.” They had to have had a definition in mind that contained real conditions which when satisfied made one a “natural born Citizen.” We have seen above that that definition was a child born in the country to “citizen” parents. Second, Mr. Maskell and the courts, like Keith, not only engage in reasoning that is tautological, but also commit the fallacy of Affirming the Consequent. dunstvangeet and Dr. Conspiracy did not address my argument concerning Keith committing the Fallacy of Affirming the Consequent. 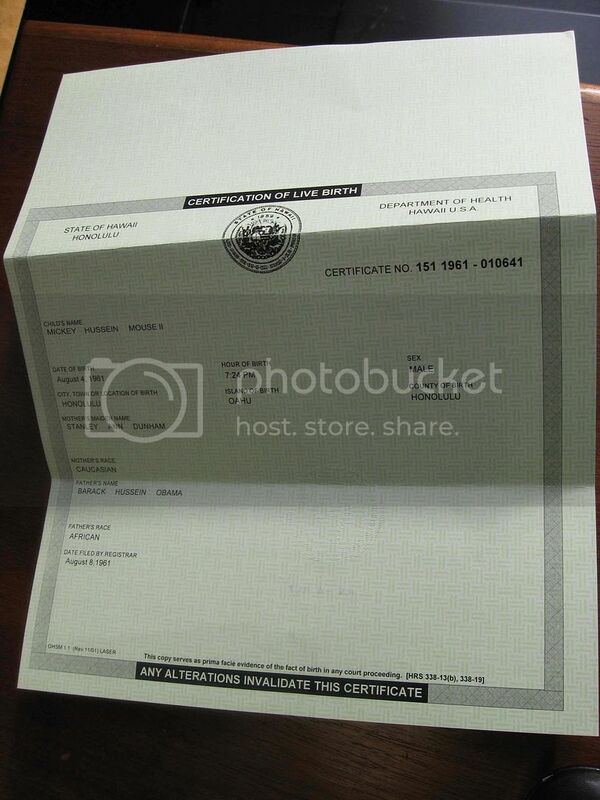 Let us examine this fallacy and how it is found in the argument that, Obama is a “natural born Citizen” because he is a U.S. “citizen” “at birth.” In the correct application and understanding of the statement: If one is a “natural born Citizen,” then one is a “citizen at birth,” the condition of being a “citizen at birth” is only a necessary consequence of being a “natural born Citizen.” “Citizen at birth” is not a factor which alone makes one a “natural born Citizen.” Being the necessary consequence of being a “natural born Citizen,” it is not a sufficient condition for becoming a “natural born Citizen,” for we have seen that what is also necessary is birth in the country to “citizen” parents which are the necessary conditions which produce the consequence of being a “citizen at birth.” So, to simply say that all those who are born in the United States and who are “born citizens,” “citizens at birth,” or “citizens from birth” are “natural born Citizens” is not only a tautology, but is also a case of the fallacy of affirming the consequent. To further illustrate this, we can agree what champagne is. Champagne is defined as a sparkling wine produced from grapes that are grown in the Champagne region of France by using certain fermentation rules. Now let us go from this definition to this true statement: If wine is Champagne, then it was “made from grapes grown in the Champagne region of France.” Now let us assume that someone comes along and wants to prove that his sparkling wine is Champagne. He argues that his wine must be Champagne because it was “made from grapes grown in the Champagne region of France.” We scientifically examine his claim and learn that the sparkling wine was “made from grapes grown in the Champagne region of France,” but the producer did not use certain fermentation rules. Actually, “[s]ome use the term champagne as a generic term for sparkling wine, but many countries reserve the term exclusively for sparkling wines that come from Champagne and are produced under the rules of the appellation (footnotes omitted). http://en.wikipedia.org/wiki/Champagne . Did you see that? The wine must also be made under rules of the appellation which is an additional necessary factor to be satisfied in order for any given wine to be Champagne. We must therefore reasonably conclude that the wine is in fact not Champagne because the producer did not use certain fermentation rules which are a requirement to be met if the wine is to be Champagne. So, even though our person’s sparkling wine was “made from grapes grown in the Champagne region of France,” his wine was still not Champagne. That is because having a sparkling wine “made from grapes grown in the Champagne region of France” is a necessary consequence of producing Champagne wine, but it is not a sufficient condition for its creation, for the wine maker must also use certain fermentation rules. So, likewise, being a “born citizen,” or “citizen at birth” or “citizen from birth,” is only a necessary consequence of being a “natural born Citizen,” but it is not a sufficient condition for that type of citizen’s creation, for the age-old definition of the clause also requires birth in the country to “citizen” parents. From this logical reasoning we conclude that even though Barack Obama may have been born in Hawaii, a fact which he has not yet conclusively proven, which would make him under the Fourteenth Amendment a “born Citizen,” or a “citizen at birth,” or a “citizen from birth,” he is still not a “natural born Citizen” because he was not born to “citizen” parents, meaning a U.S. “citizen” father and mother, which is what the American common law definition requires. And not being an Article II “natural born Citizen,” he is not eligible to be President and Commander in Chief of the Military. For a more in-depth analysis of the meaning of a “natural born Citizen” and explanation of how the clause was defined under the law of nations and American common law rather than English common law, see Mario Apuzzo, “Barack Obama Is Ineligible to be President, For He Is Neither a ‘Natural Born Citizen’ Nor a ‘Citizen of the United States, at the time of the Adoption of this Constitution,’” accessed at http://puzo1.blogspot.com/2012/10/barack-obama-is-ineligible-to-be.html . For an explanation of how the fallacy of Affirming the Consequent was recently used by the Vermont Superior Court to dismiss the Vermont ballot challenge of H. Brooke Paige v. Barack Obama, see Mario Apuzzo, “The Vermont Court Errs in Dismissing Presidential Ballot Challenge H. Brooke Paige v. Barack Obama, accessed at http://puzo1.blogspot.com/2012/11/the-vermont-court-errs-in-dismissing.html . The Vermont Court Errs in Dismissing Presidential Ballot Challenge H.
Judge Robert R. Bent, Presiding Judge of the Vermont Superior Court, on November 14, 2012 dismissed the candidate Barack Obama Vermont ballot challenge of Paige v. Obama, Docket No. 611-8-12. He ruled that H. Brooke Paige does not have standing to bring the action, the court does not have jurisdiction, and his argument on the meaning of a “natural born Citizen” has no merit. The decision can be read at http://www.scribd.com/doc/113533939/VT-Paige-v-Obama-Et-Al-DeCISION-Vt-Super-Ct-Nov-2012 . As to standing, Judge Bent ruled that Vermont has adopted the federal rule on standing which requires a litigant to satisfy both the requirements of Article III and its related prudential component. He explained that standing requires a litigant to show injury in fact, causation, and redressability. He concluded that Paige has not shown injury in fact. But Barack Obama has again won the general election. He now stands to win the Electoral College vote. Paige has adequately shown that his life, liberty, and property can be particularly injured by having to live under the authority and power of a person who may occupy the Office of President and Commander in Chief of the Military who may not be constitutionally eligible to be there in the first place for not being a “natural born Citizen.” Mr. Paige has adequately shown that the Founders and Framers required future presidents to be “natural born Citizens” to protect and preserve the nation. Hence, the clause is a national security measure designed to assure the safety of the nation. Needless to say, the “natural born Citizen” clause is intended to protect and preserve Mr. Paige and to provide for his safety and well-being. That the clause protects all Americans is no reason to deny Mr. Paige its protection in a legal action in which he seeks to have the courts enforce the clause. Judge Bent did recognize that Vermont also has two statutes, 17 V.S.A. Sec. 2603(a)(3), which allows any legal voter to challenge an election after it occurs. He conceded that on its face, the statute does not limit itself to any particular election issue as the subject of an election contest. He also cited Sec. 2617 which provides: “In all cases for which no other provision has been made, the superior court shall have general jurisdiction to hear and determine matters relating to elections and to fashion appropriate relief.” But he distinguished these statutes and concluded that they only apply to activities occurring during the conduct of the election itself which could change the result of the election and not to presidential eligibility. But the statutes say no such thing and Judge Bent has written words into these statutes which the Vermont legislature did not write. Additionally, whether a candidate is eligible for the office he or he seeks does affect the conduct of the election and could surely change the result of the election. What could be more fundamental to the conduct of an election for any given office than whether a candidate is constitutionally eligible for the office he or she seeks? So, the legislature has specifically passed these two statutes which allow a voter such as Mr. Paige to challenge in the Vermont Superior Court a presidential candidate’s eligibility to be placed on the Vermont presidential election ballot and election to that office through the general election and the Electoral College. Judge Bent also concluded that these Vermont statutes are no reason for the court to find that Paige has satisfied the requirement of prudential standing, which requires that a plaintiff’s claim is included in “the zone of interest protected by the law invoked.” He found that these statutes do not expressly allow a challenge by Mr. Paige to presidential eligibility and that to allow such a challenge in state court would produce “wholesale chaos and lingering uncertainty to presidential elections.” But such speculation is no reason to deny jurisdiction and to deny Mr. Paige a judicial forum for him to protect his constitutional rights. Our nation’s courts are more than capable to handle and coordinate complex legal matters. That the issue involves presidential eligibility is hardly a reason to conclude that our state courts cannot handle the matter. Moreover, given that the contested issue involves the presidential election, any state court decision on presidential eligibility would be fast tracked to the U.S. Supreme Court which would decide the matter for all the states. Hence, while the Vermont legislature has decided to confer standing upon Mr. Paige to bring his challenge to Obama in the Vermont state courts, Judge Bent has denied him that right. Judge Bent also concluded that the Vermont state courts or any state courts have no jurisdiction over the question of whether a presidential candidate is constitutionally eligible because for a state court to get involved in the matter could potentially create national chaos. But such speculation is no reason to deny jurisdiction and to deny Mr. Paige a judicial forum for him to protect his constitutional rights. As we saw above, our nation’s courts are more than capable to handle and coordinate complex legal matters and any state challenge would be fast tracked to the U.S. Supreme Court which would decide the matter for all the states. Finally, Judge Bent was not sure whether Congress in joint session under 3 U.S.C. Sec. 15 has the authority to address the issue of presidential eligibility which would make the matter a nonjusticiable political question. Hence, without any say from the courts (both state and federal given the standing rule and the requirements of jurisdiction that he imposes) or Congress, Judge Bent does not allow for any means for resolving under the rule of law any question of presidential eligibility in our constitutional republic. Standing and jurisdiction do not address the merits of a case. But Judge Bent also concluded that Paige’s argument as to what is an Article II “natural born Citizen” has no merit. Judge Bent erred just based on the text of the “natural born Citizen” clause. “It cannot be presumed that any clause in the constitution is intended to be without effect, and therefore such construction is inadmissible unless the words require it….” Marbury v. Madison. 5 U.S. 137, 174 (1803). Hence, a basic rule of constitutional construction is that every word in the constitution must be given meaning. The Constitution says "natural born Citizen," not "born Citizen." Judge Bent is therefore wrong simply on the constitutional text when he says that anybody who is born a citizen is a "natural born Citizen." There must be a reason the Framers added the word “natural” to “born Citizen.” The reason is that the clause is a word of art, an idiom, a unitary clause, which has a very specific fixed meaning. By adopting such a definition, Judge Bent has given the word “natural” no meaning and has confounded the proper interpretation of the clause by focusing on the result of being a “natural born Citizen” (born a citizen) rather than focusing on the word of art itself which has a very specific meaning. There is nothing about the clause which suggests that the word “natural” is surplusage and intended to have no effect. Hence, his interpretation “is inadmissible” and must be rejected. Emer de Vattel, The Law of Nations, Section 212 (London 1797) (1st ed. Neuchatel 1758). While recognizing that Vattel's The Law of Nations "was a work of significant value to the founding fathers," Judge Bent refers to the phrase, “The natives, or natural-born citizens, are those born in the country, of parents who are citizens” as a phrase used only by Vattel. He said that simply because Vattel used the phrase, the phrase does not have any “constitutional significance.” But Paige provided to the court numerous historical and legal sources that demonstrated that after July 4, 1776, our nation adopted the law of nations model of citizenship and not that of the English common law. Judge Bent avoided any discussion of the naturalization acts of 1790, 1795, 1802, and 1855 which were all jus sanguinis (citizenship derived from parents) based and therefore followed the Vattel model. He also does not address cases like Minor v. Happersett, 88 U.S. 162, 167-68 (1875), where the unanimous U.S. Supreme Court adopted that phrase and jus sanguinis and held that the "natural born citizens," “[a]t common law, with the nomenclature of which the framers of the Constitution were familiar” were “all children, born in a country, of parents who were its citizens” and that at “common law,” “there have been doubts” whether we ever adopted jus soli (citizenship derived from the place of birth) citizenship. Judge Bent wrote as though Vattel is the only person ever to use the phrase when we know that the phrase was also adopted by the U.S. Supreme Court justices in The Venus, 12 U.S. 8 Cranch 253, 289 (1814) (C.J. Marshall concurring), Dred Scott v. Sandford, 60 US 393, 405 (1857) (J. Daniels concurring), and the unanimous U.S. Supreme Court in Minor, not to mention Inglis v. Trustees of Sailor’s Snug Harbor, 28 U. S. 99 (1830) and Shanks v. Dupont, 28 U.S. 242, 245 (1830) which adopted the same rule of partus sequitur patrem, i.e., children follow the condition of their parents which is jus sanguinis citizenship and not jus soli citizenship. See also Ex parte Reynolds, 20 F.Cas. 582, 5 Dill. 394, No. 11,719 (C.C.W.D.Ark 1879) and United States v. Ward, 42 F.320 (C.C.S.D.Cal. 1890) (cite and quote Minor’s Vattelian/American common law definition of a “natural-born citizen”). Judge Bent said that Vattel’s use of “parents” in the plural does not have any "particular significance." Judge Bent said that “[t]hus far, no judicial decisions have adopted such logic in connection with this or any related issues.” But first, Vattel is not the only person to use the word “parents” in the plural, for the above cited U.S. Supreme Court Justices and case law also did. So Judge Bent actually told us that there is no “particular significance” to the U.S. Supreme Court’s use of the term “parents.” Second, Judge Bent failed to address the fact that at the time of the founding and until 1922 when Congress passed the Cable Act, a wife’s citizenship merged into that of the husband. Hence, “parents,” meaning both husband and wife, always had the same citizenship. Third, “parents” in the plural is nothing new to our citizenship and naturalization laws, for there are so many such statutes in our history that required both parents to be citizens in order for the child to gain any naturalization or immigration benefits. Fourth, Judge Bent accepted that because other cases were fortuitously decided before his, he is bound by those cases and relinquished his own independent thinking on the matter. "All persons born or naturalized in the United States, and subject to the jurisdiction thereof, are citizens of the United States and of the State wherein they reside." We can see from the plain text of the Fourteenth Amendment that it only addresses a "citizen of the United States," not a "natural born Citizen." Wong Kim Ark, at 682. We can see that the amendment’s purpose was to exclude from basic membership in the United States, which it calls “citizen of the United States” and not “natural born Citizen,” certain children, i.e., those of American Indians, alien enemies, and diplomats. It was not designed to tell us who were included as Article II “natural born Citizens.” We have seen from Minor, as confirmed by Wong Kim Ark, that American common law did that. Judge Bent stated that Wong Kim Ark concluded that the original framers obtained their model of citizenship from the English common law. While he told us by citing and quoting Wong Kim Ark what the English common law in England was on subjecthood, he did not present any evidence that the Founders and Framers adopted that English common law to define the new U.S. national citizenship. He concluded without citing to any evidence that “there is no apparent distinction between” a “natural born citizen” and a “natural-born subject.” He failed to discern that Wong Kim Ark, faced with having to interpret and apply the Fourteenth Amendment to determine whether Wong was a “citizen of the United States,” needed to decide who was a “citizen” under that amendment, not who was a “natural born Citizen” under Article II, and that the Court used the English common law as an aid in doing that and not to define an Article II “natural born Citizen.” He also failed to address Minor which in specifically defining a “natural-born citizen,” used a model of citizenship that was based on the law of nations which became American national common law and not the English common law. In this connection, he also avoided any discussion of, among other historical sources provided by Mr. Paige, the naturalization acts of 1790, 1795, 1802, and 1855 which were all jus sanguinis based (law of nations and American common law) and not jus soli based (English common law). These statutes are highly relevant in determining what the Founders and Framers meant by the “natural born Citizen” clause, for the early acts were passed by many members of the First and Third Congress who were intimately involved in the drafting and passage of the Constitution. So as we can see, Judge Bent has erred for various reasons in dismissing Mr. Paige’s ballot challenge against presidential candidate Barack Obama and Vermont Secretary of State.